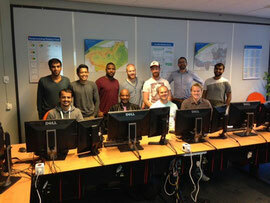 This day provides the Cat B students more inside information about GIS and ECDIS standards at the ESRI Europe office in Rotterdam. The subjects are lectured by Bart Smit and George Spoelstra. Latest developments on this subjects are well explained. Each student has his own laptop and during the lessons various tasks need to be fulfilled.